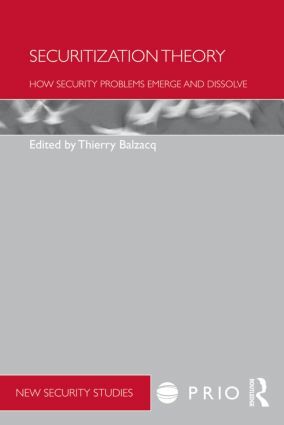 This volume aims to provide a new framework for the analysis of securitization processes, increasing our understanding of how security issues emerge, evolve and dissolve. Securitisation theory has become one of the key components of security studies and IR courses in recent years, and this book represents the first attempt to provide an integrated and rigorous overview of securitization practices within a coherent framework. To do so, it organizes securitization around three core assumptions which make the theory applicable to empirical studies: the centrality of audience, the co-dependency of agency and context and the structuring force of the dispositif. These assumptions are then investigated through discourse analysis, process-tracing, ethnographic research, and content analysis and discussed in relation to extensive case studies. This innovative new book will be of much interest to students of securitisation and critical security studies, as well as IR theory and sociology. Thierry Balzacq is holder of the Tocqueville Chair on Security Policies and Professor at the University of Namur. He is Research Director at the University of Louvain and Associate Researcher at the Centre for European Studies at Sciences Po Paris.